Host Salman Khan gives good news that Weekend Ka Vaar will be on Friday in the coming week. Weekend Ka Vaar with Salman Khan on Saturday was a serious affair as we saw Surbhi and Sreesanth being roasted. Today’s episode was a fun as film Kedarnath co-stars Sushant Singh Rajput and Sara Ali Khan graced the show. Let’s see what happened in the Bigg Boss house today. Kedarnath stars visit the house and Salman Khan plays a game. He asks Sara who would she choose between him and father Saif Ali Khan. She chooses Saif. In the house, they give a task to the contestants asking who they think deserve certain titles. The chosen person is hit by water balloons. The call is for Somi and the caller says she didn’t understand Romil threat — “If I am a good friend, I can be a better enemy”. He asks why is she friends with him again. Somi says she has forgiven him and as he has admitted his mistake. The verbal round is won by Romil. In the second phase, which is physical, Romil fails in the first two rounds. After all the rounds, Rohit is declared winner of Sultani Akhada. 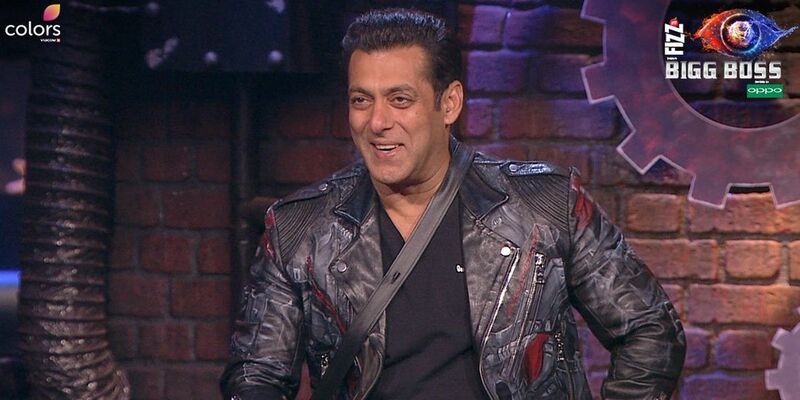 Salman Khan announces that there are no eliminations this week; it will happen next week. On the other hand, Dipika tells Sreesanth he owes an apology to Surbhi and he says he has already apologised. With continuous poking, he angrily goes to Surbhi and says sorry. At the end of the show, host Salman Khan gives good news that Weekend Ka Vaar will be on Friday in the coming week.